Well all know how important communication is as a part of effective leadership but how often do you stop and consider how effectively you communicate with others? We all like to think that we explain ourselves clearly and we listen attentively to others, but how much time do you actually spend honing those skills? Communication is the responsibility of both parties, but as the transmitter it is your job to convey your message with clarity and to check for understanding. 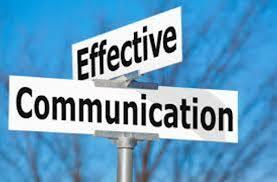 Simply writing or saying something does not mean you have successfully communicated with someone!